Maybe you have heard the thumping of bottles as you walk in close proximity to teens and tweens. Perhaps you have noticed a few kids gathered in a circle getting really excited as they tossed a bottle in the air while you wondered what the heck could be so exciting. It’s the new bottle-flipping trend, which is especially popular among middle schoolers. Basically, you take a plastic bottle that’s a third of the way full and try to perfectly flip it in the air so it lands upright. That’s all there is to it, and it’s huge. If your kids are bottle-flipping, it’s quite possible you have had talks with other parents about how utterly annoying it is: The sound it makes, the fact it knocks things over and of course, your home is littered with plastic bottles. In fact, it has been banned in some schools, including my son’s, which is understandable. But I would like to speak up in defense of bottle flipping, as annoying as it may be. While walking toward a high school football game a few weeks ago, I noticed something. Instead of students standing behind the bleachers with their heads down and eyes glued to their cellphones, they were gathered around in a circle flipping bottles. There were hoots and hollers and lots of cheering. The kids were communicating old-school-style — with their mouths. Sure, maybe it would have been better if they were actually watching the game, but I will take it. Bottle flipping works using centrifugal force, the same force that keeps water at the bottom of an open bucket while you spin it around. The bottle must be filled a third of the way with liquid. You then hold the bottle from the top so the water and center of gravity rest at the bottom of the bottle. You flip the bottle in the air, trying to get it to land on its base. Without the precise amount of liquid and the perfect toss, the bottle will not land upright. So often, I see these kids trying over and over again to get it just right. It doesn’t just happen; they have to work at it. They get so engrossed in trying to find new ways to get the bottle to do its thing, I’m convinced it teaches them to stay focused and dedicated, which are important life skills. I saw the look on my son’s face the first time he got his bottle to land upright — pure joy. He had been working at it for a while and was excited to see his progress. Pointless as it may seem, bottle flipping is skill its fans are trying to master. As soon as they do, it is infectiously gratifying, which is why everyone cheers for each other. At least if they are in my presence, anyway. If my kids want to flip their bottles, great. They just have to take it outside where there is more room and the kids know they won’t have a mess to clean up like they do when they flip bottles inside and knock over houseplants or cups of milk. 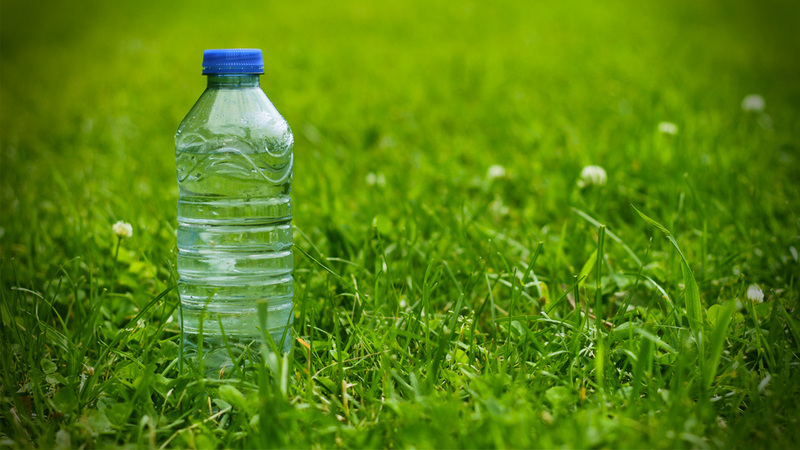 If you have a tangle of kids wrestling in your house, distract them with a few plastic bottles and the great outdoors. There is no assembly required (save filling the bottle if it’s empty), there are no apps to download and no tiny pieces to find. Just one bottle and a little liquid is all it takes. So much cheaper than the latest iPhone. If they want the bottle to flip correctly two-thirds of the liquid has to be gone. While I am sure some kiddos pour out the water, I have a house rule at my place that the kids must drink the water and not pour it out if they want to flip that bottle. Every decade has its trends. I remember friendship pins, jelly bands and Hacky Sacks. This generation will forever remember their days of bottle flipping. And while it may be loud and annoying, I for one will take it over video games or listening to Caillou whine from the television screen.